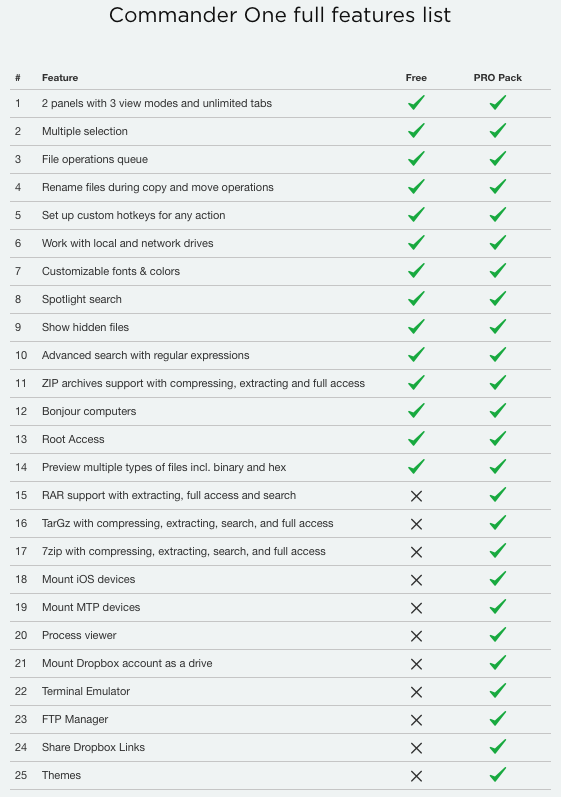 The Finder in OS X gets the job done in a variety of ways. But, in a lot of situations, a power user would want extra control in their hands, an area where Finder fails to deliver in abundance. Enter – Commander One, a brilliant OS X Finder replacement that has a lot of hot features right off the bat that will leave even the novice of users in a state of awe. Commander One is a brilliant multi-pane file manager with a ton of great features. For example, you have the option to view your files in different modes – Full, Brief and Thumbs. Taking things further, the app also allows you to view hidden files easily. And here’s something which many users will love: you can open an unlimited number of tabs, giving you more control over how you do things on your Mac. Commander One features an advanced search option, that allows you to search for files on drives that are compressed very easily. And if for some reason you don’t remember the name of the file you were looking for, Commander One has the ability to search for words inside of a file as well, flexibly throwing you a result even if you’re short on memory. Of course, there’s Spotlight search available as well, if you so wish to take that route. 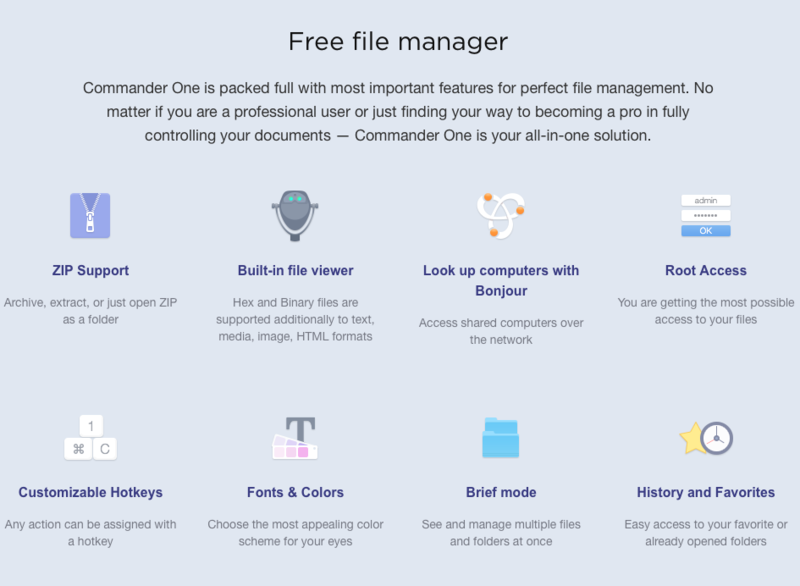 On top of the features that we have listed above, Commander One even has zip support to view compressed files, and even comes with a built-in file viewer. Furthermore, users can easily define hot keys, and also allowing users root access to files, so you can rest assured that all your needs will be covered. The full set of features of Commander One is as follows. And yes, there are two versions of the app – free and PRO. You can grab the free version of Commander Pro by heading over to this link. If you wish to go PRO for some reason, then you’ll be pleased to learn that there’s a 15-day free trial as well before you part with $29.95. 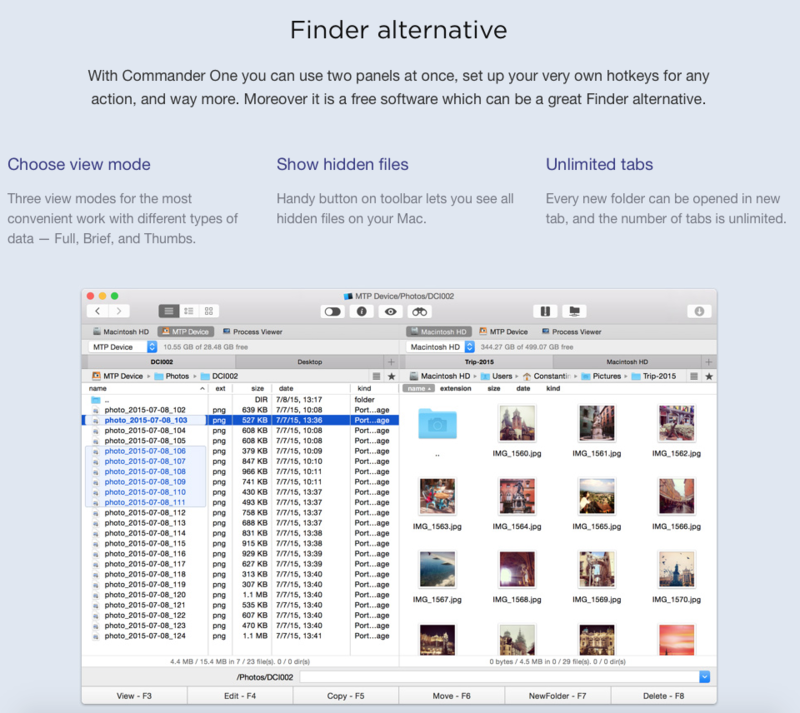 If you’ve always had beef with OS X’s Finder, then Commander One is a great alternative which we recommend users to try out. After all, it’s free, and if you want to add more features on top, the asking price is pretty decent too for the PRO release. But given how much the app already offers to users in its free state, we doubt you’ll ever go PRO. Thoughts? Drop them in the comments section below.